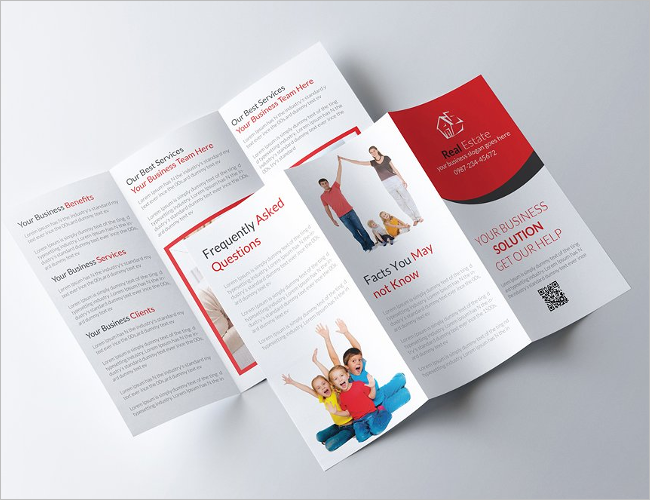 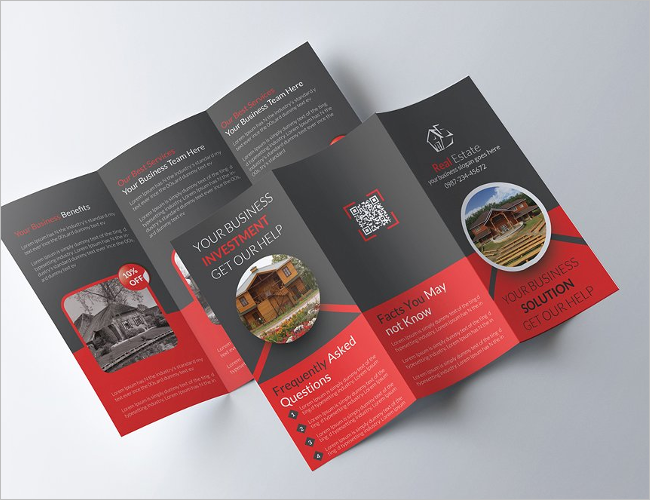 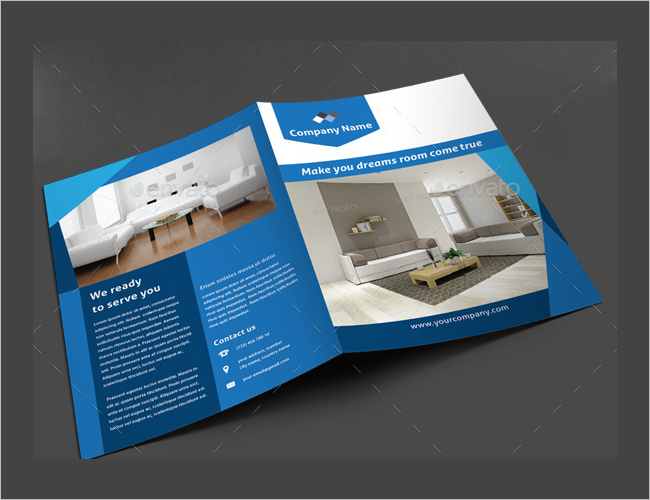 If you’re an interior decorator, you need to keep your existing customers hooked to your design and also garner a new resource target group by showcasing your work in the form of brochures. 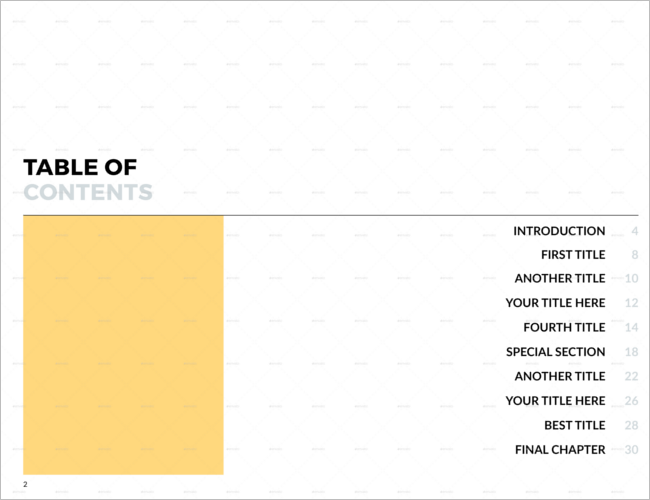 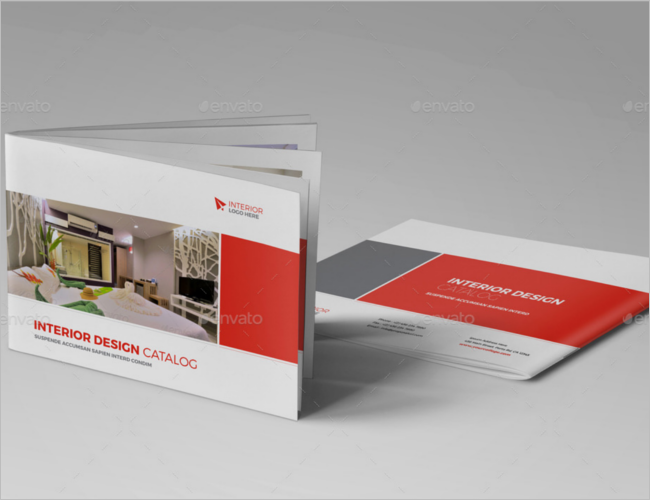 You might not have the time to design a brochure, but do not worry we have you all covered. 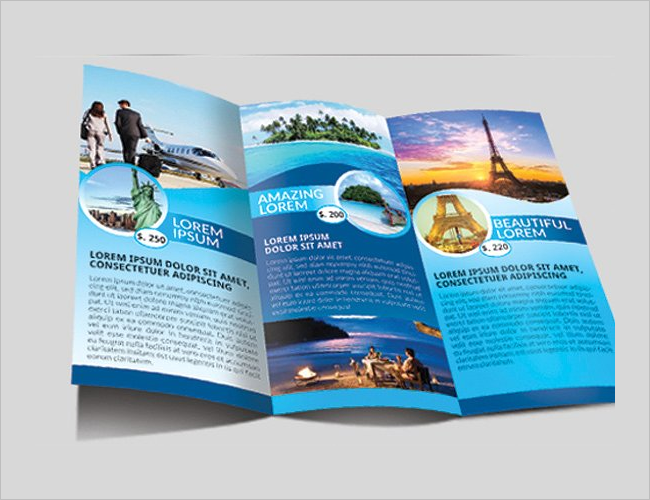 Customize the pre-designed brochures to suit all your needs and you’re all ready to go. 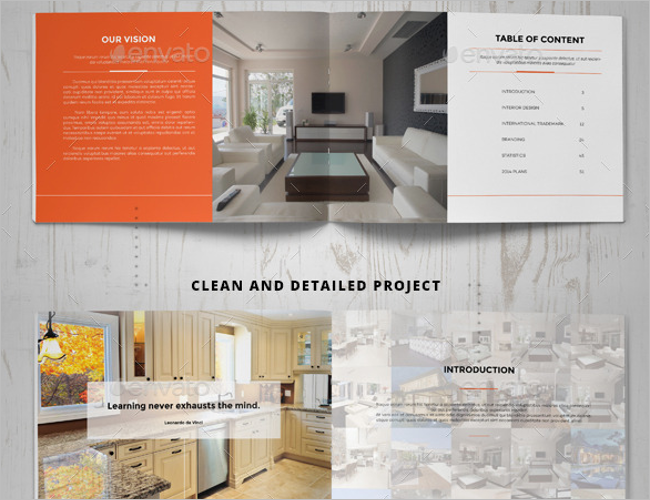 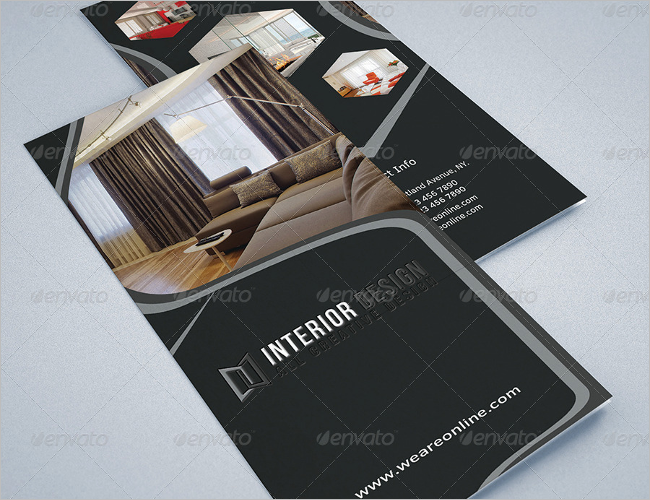 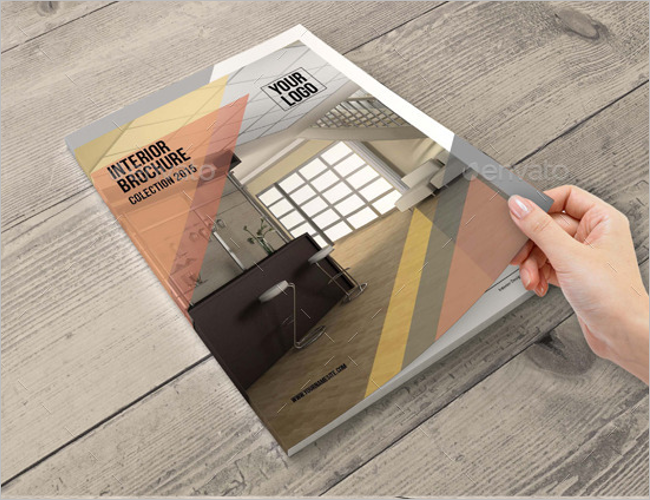 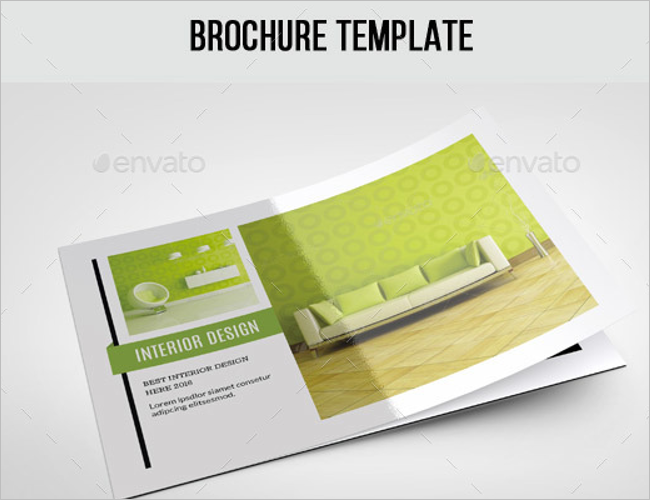 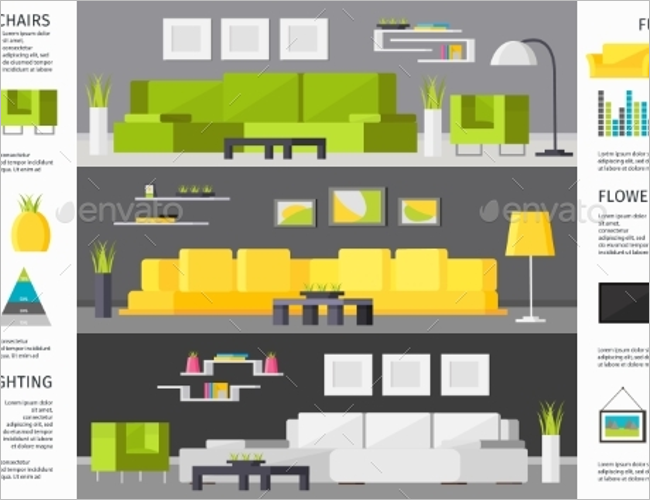 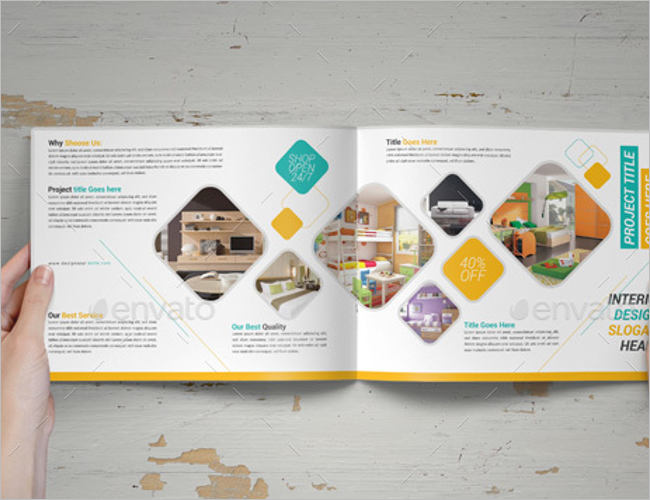 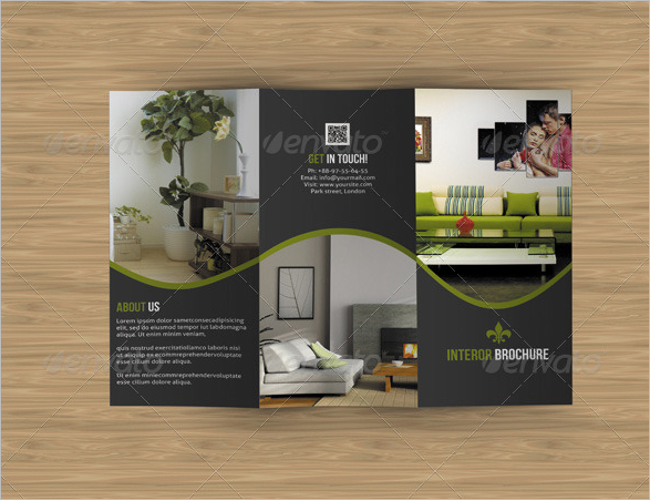 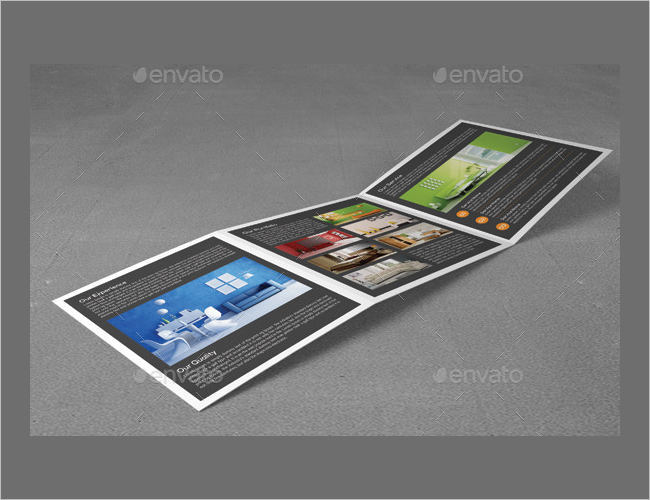 The Interior Design Brochure Templates PDF come in different types and in different sizes. 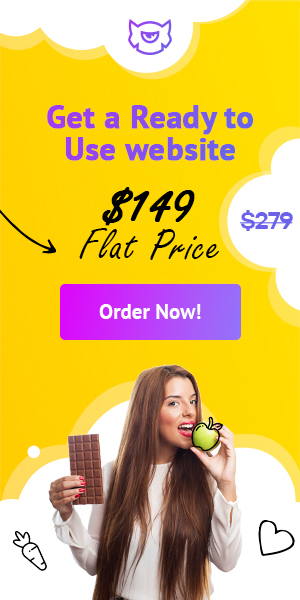 They are easily available and ready to download at all times. 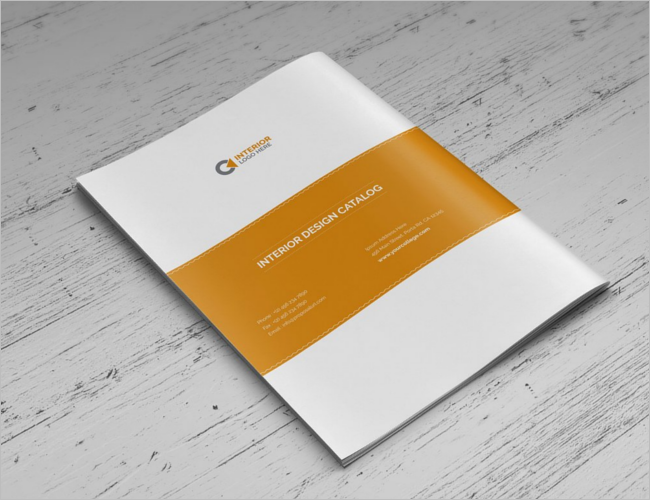 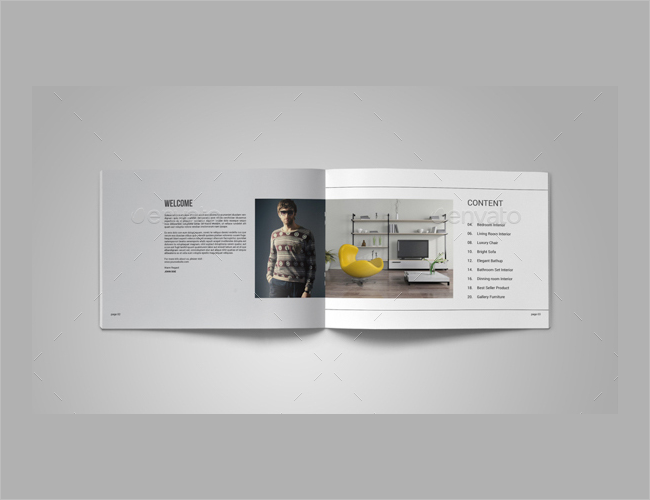 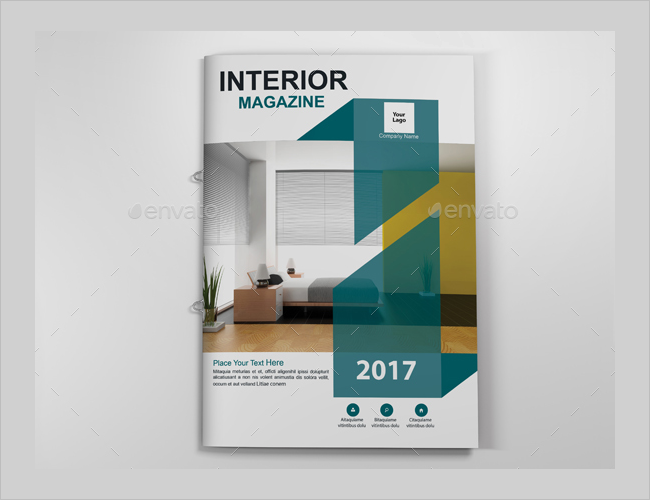 The Interior Décor A5 Brochure template is a fully editable, customizable and comes with eight pre-designed 8 pages full of A5 reso. 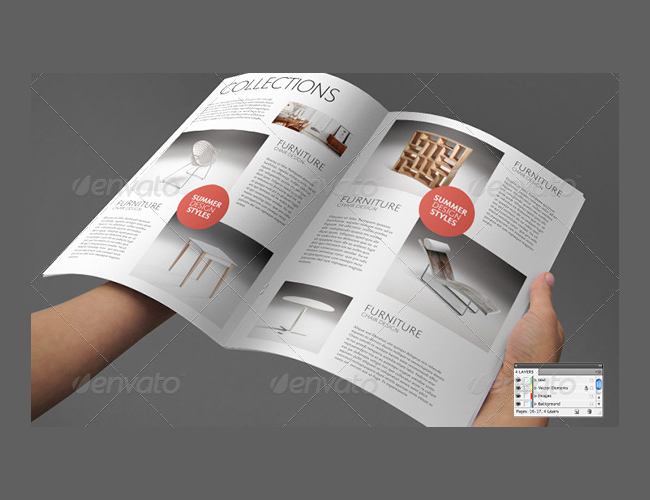 You can make any changes you like and fill it up with more information and images as and when you like. 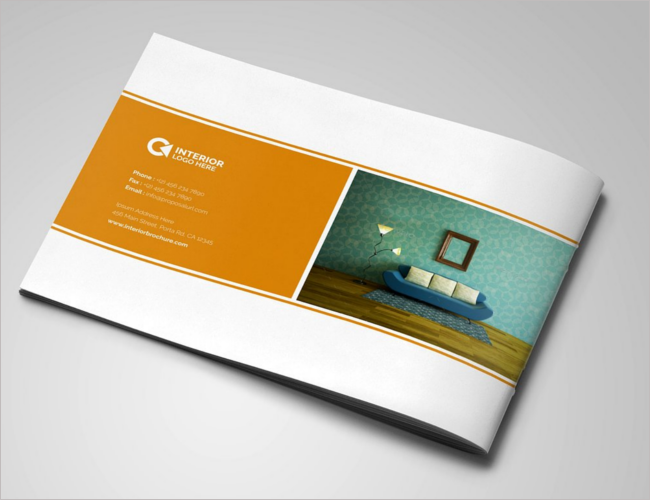 It comes with CYMK colour featuring and allows varied colour palettes and schemes with high-resolution features. 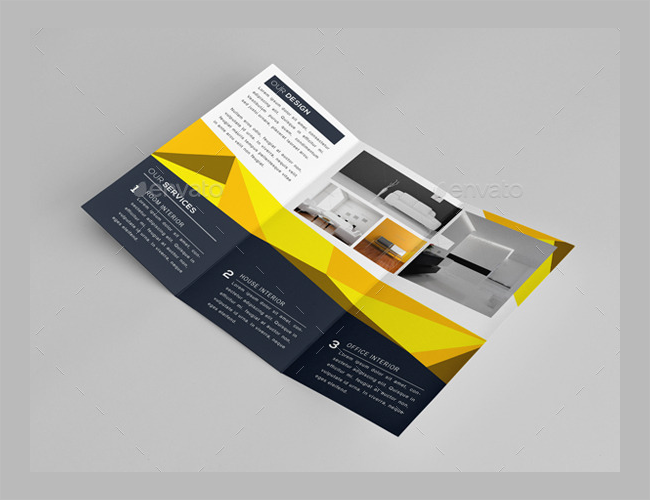 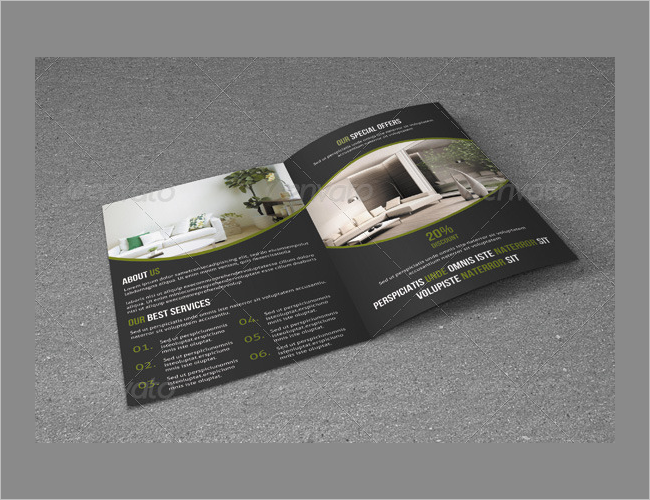 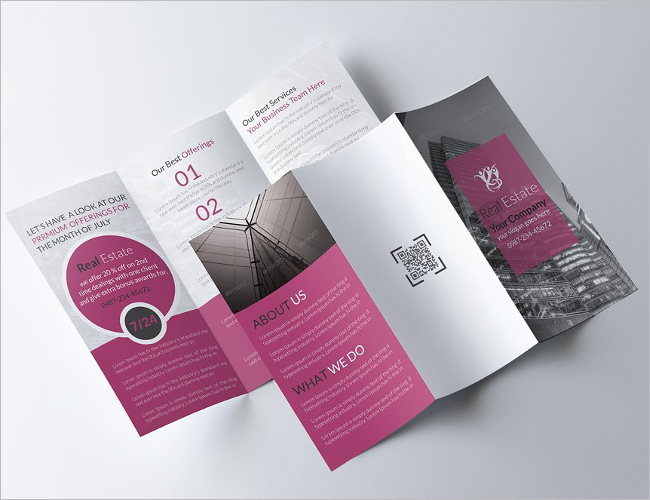 The Interior Décor A4 Bi-fold brochure comes with A4 sized pages and four-page side panels. 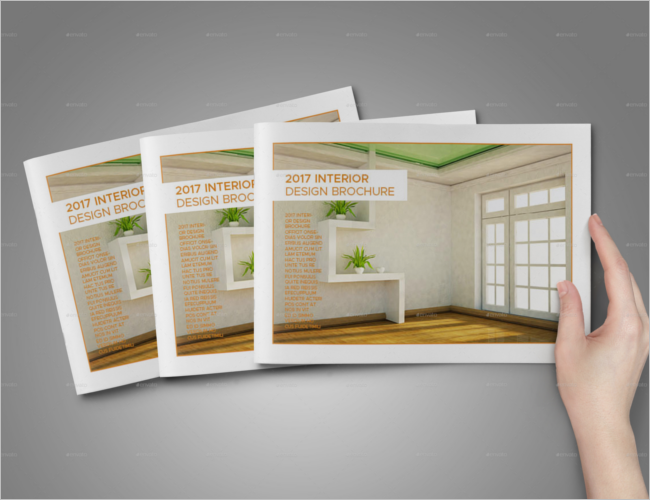 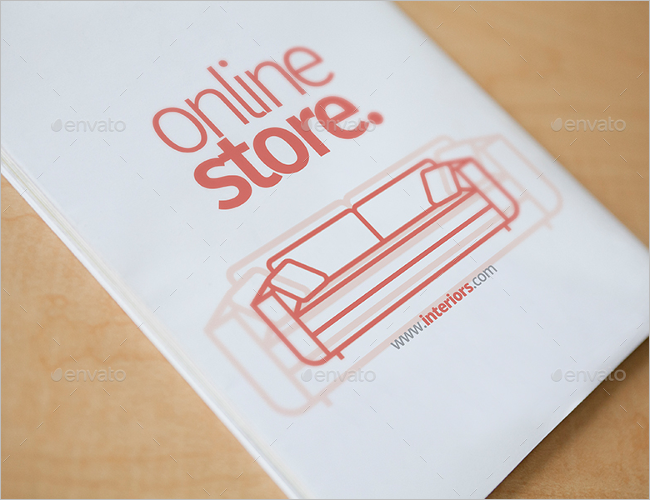 Easy to print and easily editable, this is a must have brochures for interior designers and related professionals. 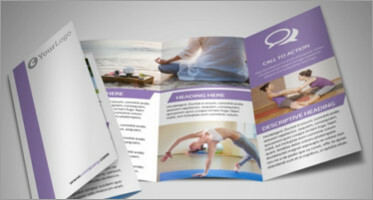 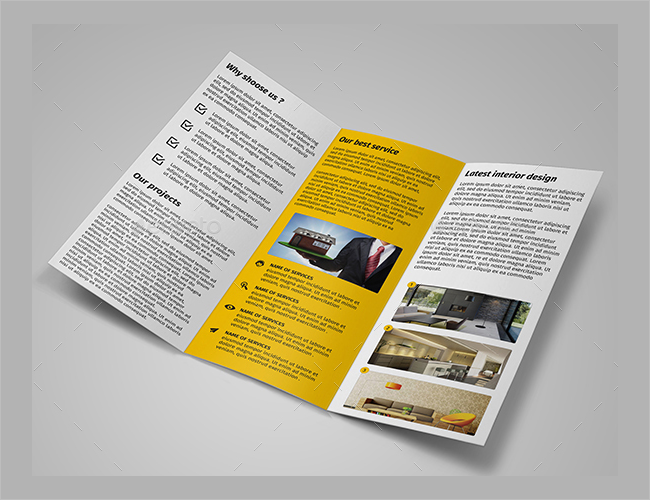 Editable Interior Décor Tri-Fold Brochure has A3 sized pages with CYMK colouring and a high resolution of 300 DPI. 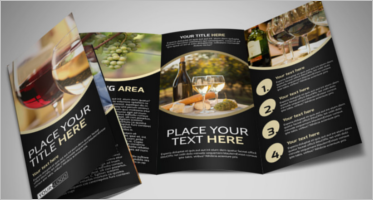 Easy to print and extremely easy to edit, it comes with six-page side panels.